At the place in the forest where three streams converge, a retired warrior shows me the place where he hangs his hammock and reads, where he enjoys nature and his solitude. He can go all day without seeing anyone because they, like me, are so busy doing the Lord’s work or their own or foolishly pursuing some temptation. Often those three look the same and, with grace, are, merging together as God redeems the divine and the selfish and the foolish into one living stream. 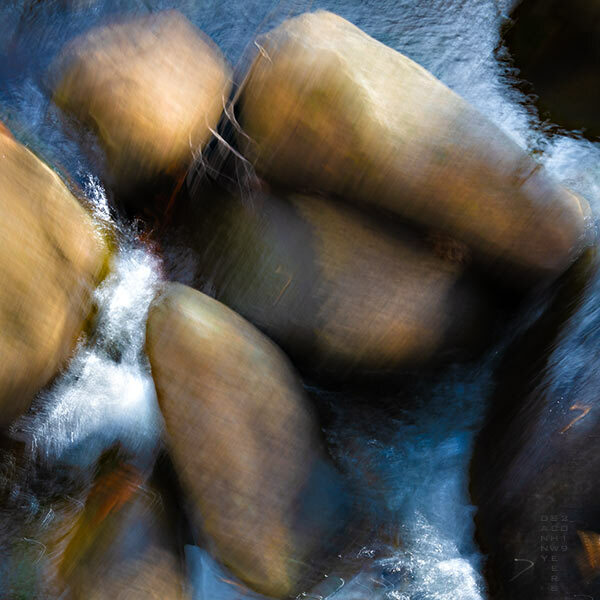 Photo of rounded boulders along Perkins Run in Ardencroft, Delaware, March, 2019. Wow, very powerful, Danny. Love this!!! I love how you captured the sense of movement, like the stream over the stones. This one gave me pause. A deep lesson (or three) in here. Thanks as always for your work. Danny, this is very thought-provoking! So interesting. Thanks for your comments on my “Three Streams” photo and prayer last week. The retired warrior who showed me his hammock hanging spot in the woods is a neighbor who I was tutoring in photography. He had loved using a camera in high school and now, in his mid-50s, after having served 27 years in the U.S. Marines and U.S. Army, he is getting back to an early love. We spent two hours together. It was wonderful to see what he once knew being remembered, the lessons he learned on a film camera coming back to him as I taught him about his new digital camera.